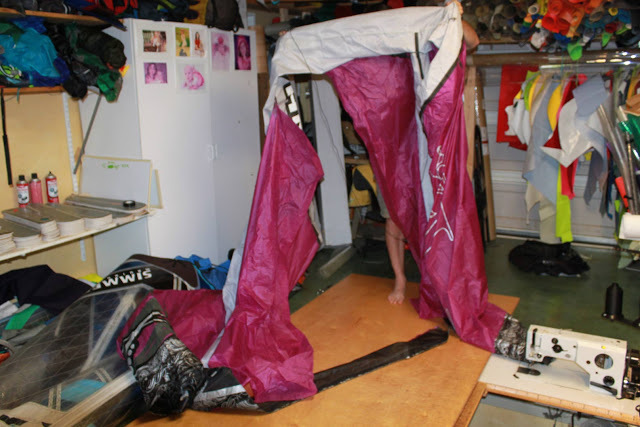 Aqua Sports is Home to Northshore Kite and Sail Repair , the premeire loft for your kite repair needs. Aqua Sports students get an exclusive 10% off all repairs! These guys rock! 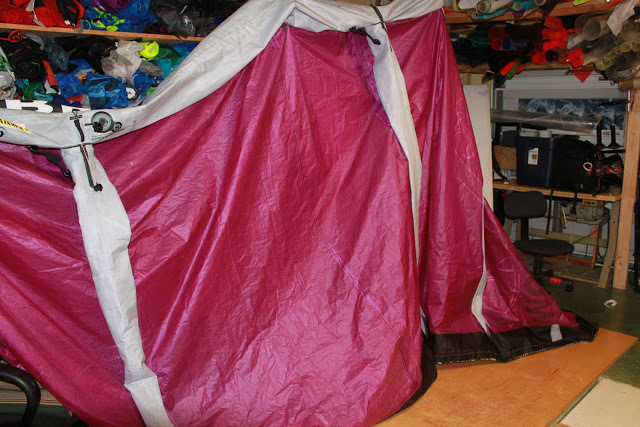 Kites repaired by Karen at Northshore Kite and Sail repair are awesome, sometimes you can’t even find what was repaired! Thanks Karen, for all the repairs you’ve done for me over the years. You do an awesome job! When you have skills like mine, which hover somewhere around abysmal, you often need kite repair. Thankfully Karen is there to the rescue! She is the bomb, and by “bomb” I mean “awesome” but that would sound funny to say she is the awesome.Thanks again for everything, Karen! You know you’ll be hearing from me soon! From the first time I wrapped a kite on the fence down by the water treatment plant in probably 2001 or 2002, shredding it from stem to stern, until now.. you’ve fixed my kites and done it so well that it’s not easy to find the repair afterward. Your high standards, fair prices, and professional work are well known throughout all Maui (& beyond). You’re fast and honest (and friendly and fun) and I’m glad you’re here!!!! I received the kite, and had hard time finding where were the cuts. Thanks for the excellent job and fast service.